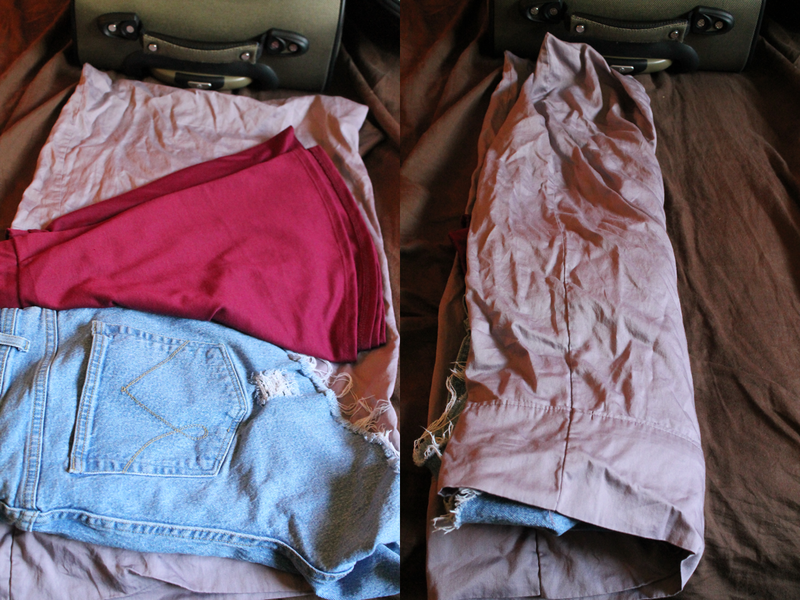 A little while back, I posted a how to on how to pack a suitcase. Well, now it's time to show you how to pack everything you need to in your carry on. Carry-on bags are free to carry on board with you. They have to meet a size requirement and can't be bulging out. They also must fit in the overhead compartments on airplanes. So, you have to be creative when packing for them. I'm going on a weeklong vacation, so I have to pack a literal crapton of things in a tiny little carry on. Firstly, I lay the pillowcase flat, and then lay the items on the pillowcase, folded once. I then fold the pillowcase over and then roll it tightly, but carefully, like a big burrito. I like to roll my underwear and socks, put them in plastic shopping bags, and shove them into my shoes. This frees up space that would otherwise be wasted, and it also keeps things sanitary with the bags. I then pile the shoes into the bag heel to toe. The flatter shoes can be squished in the empty space, along with belts. I'm doing a half method--half folding and half rolling, so I can optimize space. One layer I roll, one layer I fold. I alternate this until the top is a folded layer. Then I tighten the clasp over to keep them all in place. If you're uncomfortable with your shoes touching your clothes, you can use a plastic bag as a divider. In the netted top portion, I like to keep my bras, and for this trip, my cosplay items. This way, they're more protected from the rest of them items and can retain their shape. 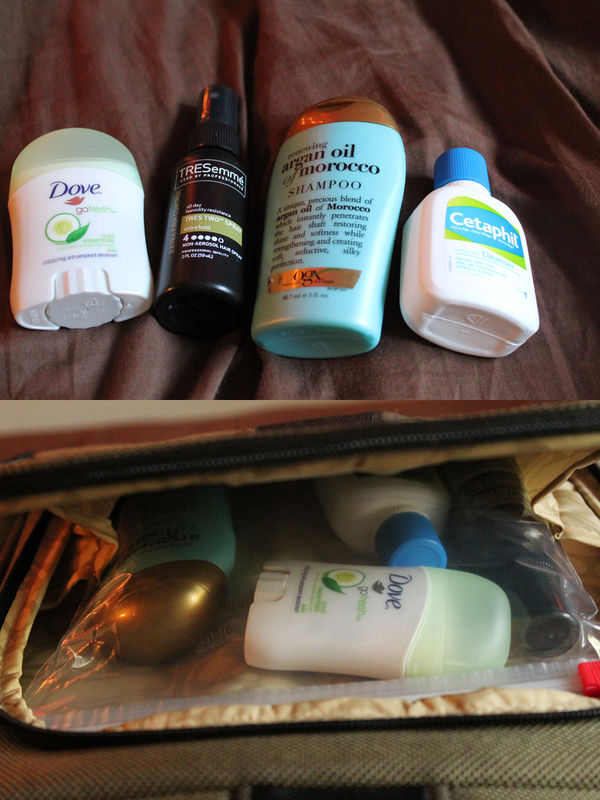 In the front portion is where I keep that handy little quart sized bag with all my cute travel sized liquids. And, then it's bon voyage for me! How do you pack your carry on bags? Are you vacationing this summer?